We have been working hard behind the scenes on our campaign to inject new life into Corbett shopping parades. We are beginning to see some results, but we have some significant challenges. Thanks again to everyone who took part in our Shop Local, Shop Corbett survey in April and May. We received 245 responses with loads of great ideas for regenerating our shopping parades. People sent a clear message they want more variety of shops, cafes and restaurants on the Corbett Estate and that they would shop and eat locally if they could. You can view an overview of survey results here. The full list of survey comments is available here. All comments are anonymised. The results provide essential evidence for our efforts to attract new businesses, and to persuade the Council, MPs and others that our shopping parades have a bright future. 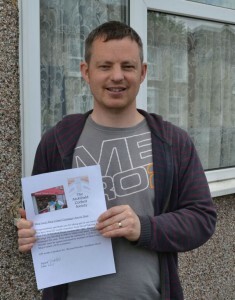 Congratulations to Richard Damola, who won the £25 shopping voucher for David Oakman Family Butcher on Muirkirk Road. And a big thank you to Heidi Alexander MP for drawing the prize at the Abbotshall Road Healthy Lifestyle Centre opening in May. It’s great news that friendly Brockley eatery, Arlo & Moe, plan to open on Springbank Road, taking advantage of the busy pedestrian traffic on this lovely old row of Victorian shops opposite Hither Green Station. We wish them every success and look forward to giving them a warm welcome to the neighbourhood. 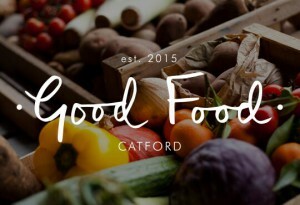 We are delighted, too, that Corbett resident Vicky Skingley plans to open Good Food Catford, a grocery and deli, serving delicious fresh produce, seasonal foods, bread and other goodies to the Corbett community. Vicky has secured a great spot on Sandhurst Parade and hopes to get a boost from the Mayor’s High Street Fund for her venture. Vicky’s success depends on crowd-funding support from the local community, so please pledge a little money at https://spacehive.com/goodfoodcatford to help turn her vision into a reality. Welcome also to Springbank Fish and Chips, which is doing good business, and Mitro’s Café on Verdant Lane, whose home-made panini and cakes are highly recommended! Mitro’s is closed for renovations, but will reopen on 1 September. These businesses are offering exactly what people have asked for in the Shop Local survey, so let’s get behind them and make sure they are a success we can all enjoy! A key challenge to our efforts to regenerate Corbett shopping parades is that, in 2013, the government relaxed planning legislation that applies to landlords seeking to convert vacant shops into residential flats. In effect, the extension of ‘permitted development’ rights limits the power of local authorities to prevent residential conversions on some shopping parades. We have evidence from three community surveys asking for more shops on the Corbett Estate and a list of businesses who are actively seeking retail premises or have expressed interest in our area. These businesses recognise there is a growing demand for independent shops and restaurants in our neighbourhood. Developing a relationship with landlords of vacant shops is essential to our campaign. We are writing to landlords, encouraging them to think about the long-term economic and employment potential of our area, and offering to put them in contact with prospective retail tenants. In the meantime, enjoy the rest of the summer and don’t forget to shop local!